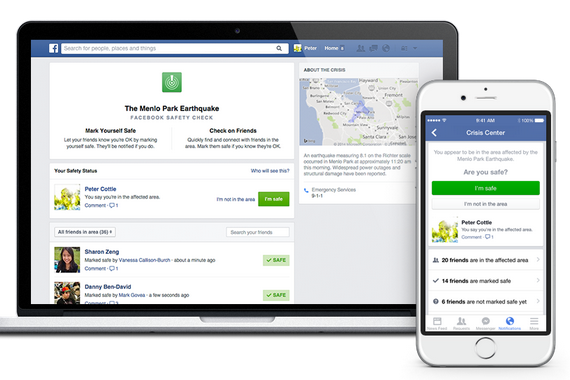 Facebook has announced the rollout of a new ‘Safety Check’ feature which is enabled in times of natural disaster. If there is a natural disaster near your location, Facebook will notify you and prompt you to let all your Facebook friends know you are OK – I’m safe. The new feature will also tell you if any of your friends are near the natural disaster and let you know if they are OK. This product is shared amongst friends, and does not display your information and updates to the public. To find out more about this new product – see this link.